Back in October we were the first tech media outlet to report on hometown Memphis startup CoyoteCase. The company founded by entrepreneur and concerned uncle Jonathan Page, produces a phone case originally for iPhone that protects your phone, and you as a person. 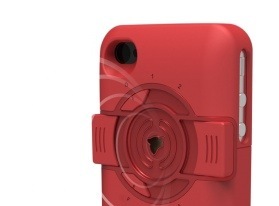 Basically the CoyoteCase doubles as a personal security system in addition to a bump proof case for your iPhone. There is a little bit of competition in the market already. For instance there’s a case out there that also holds a small pepper spray can. There’s another case with a personal alarm, and one in the works with a taser (that will most likely never make it to market). CoyoteCase combines the power of a loud audible personal alarm, along with BlueTooth and an app. The BlueTooth connectivity, combined with the app, add functionality like a tie in to a home’s alarm system, to give a monitoring station GPS coordinates of the users location. 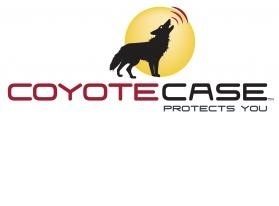 CoyoteCase is making its first big tradeshow debut at the International CES in the Eureka Park startup tech zone. Page is also presenting at CES unveiled. Page took this occasion to announce a CoyoteCase for the popular Samsung Galaxy S III Android smartphone.